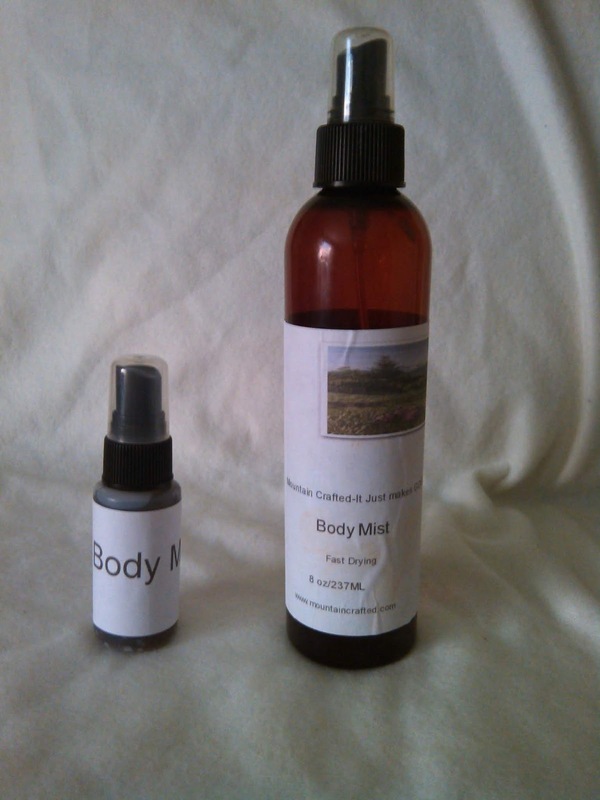 The fragrance of this alcohol free body mist smells of a garden exploding in full bloom. If you love floral's, this is an amazing mixture of notable flower aromas. Not over whelming, nicely blended with greens and flowers without being bitter or too sweet that leaves its beautiful lingering fragrance after use! Hello my name is Barry I am the owner of the website www.mountaincrafted.com We offer a large line of fragrant tart melt candles, African whipped Shea butter, goats milk soap, 100% plant based sulfate free shampoo, Body Mist, shower gel, hair conditioner, liquid hand soap, aluminum and plastic refillable pocket inhalers, essential oils and synergistic blends. We offer over 170 different man made fragrances in all of our products!